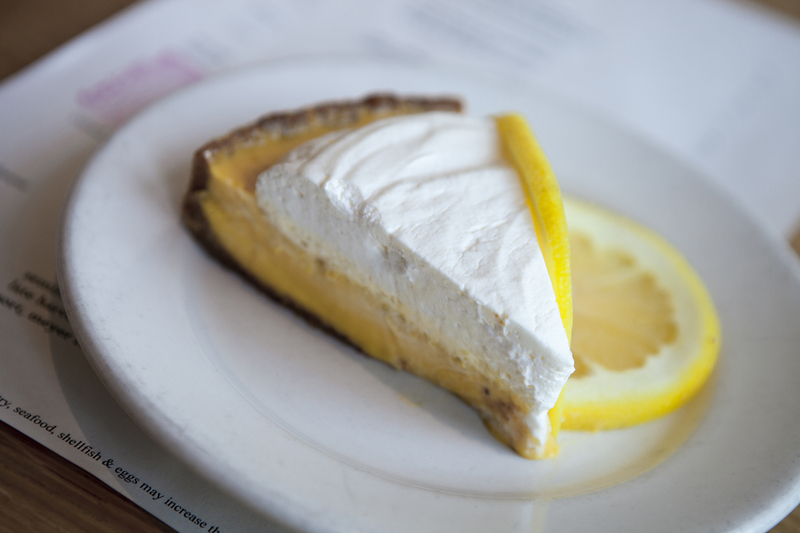 We ate some of the best dishes of pie in LA. 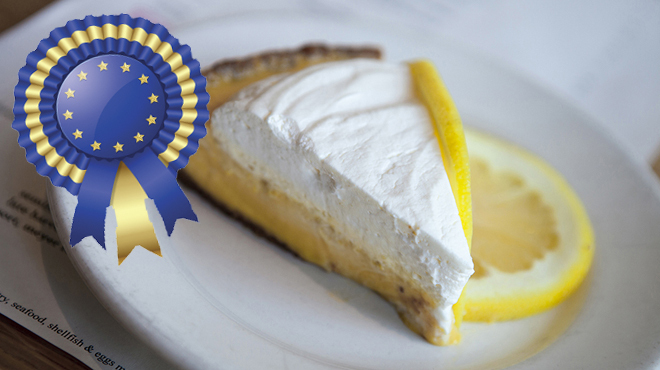 Guess who emerged victorious in our showdown: newbie Salt’s Cure or 24-hour diner House of Pies? 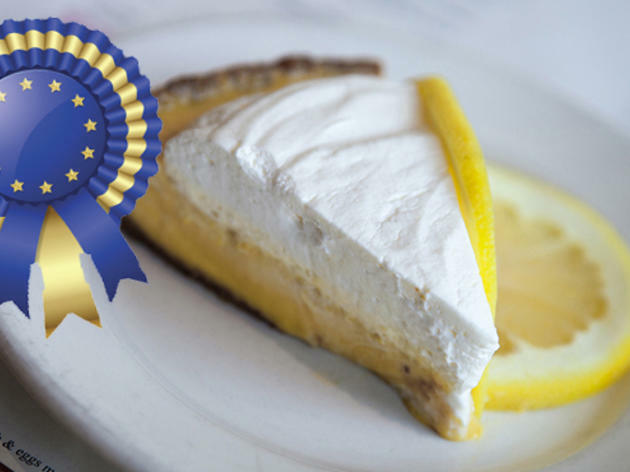 Florida’s famed pie calls on the tiny citrus from the state’s Keys for its unique taste. Angelenos call on this baked good for a slice of comfort. Here, two versions of the sweet-and-sour favorite. 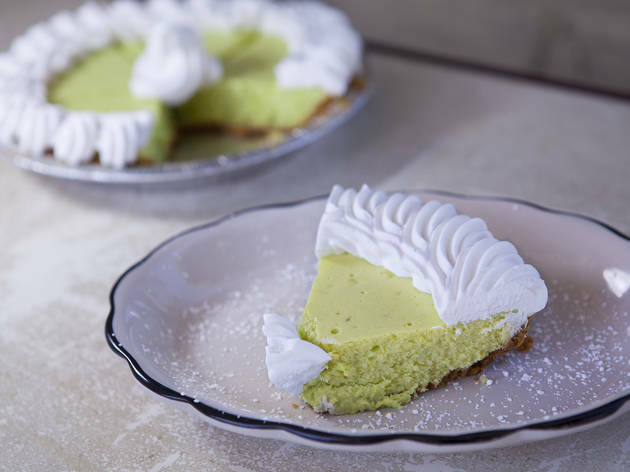 While some may be leery of its bright green hue, the familiar tart taste —yes, real key lime juice—shines through in the smooth-textured filling. 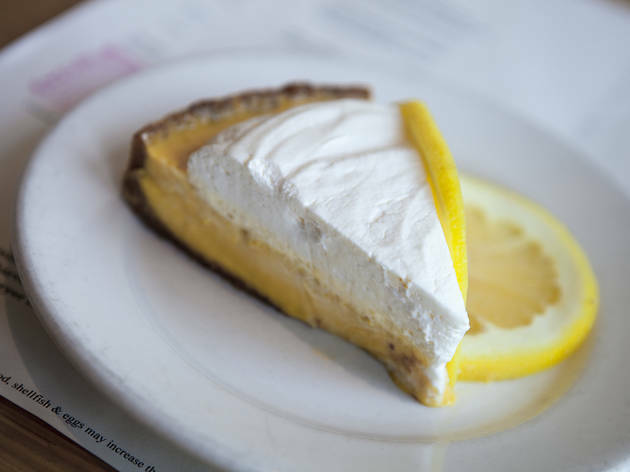 The generously sliced pie ($4.50) from this 24-hour Los Feliz diner is tangy yet sweet with a traditional graham cracker crust. Grapefruit, key lime is not. But the West Hollywood restaurant features the over-sized citrus in its riff-on-a-classic brunch dessert ($9). The result: the perfect balance of sweet and tart with a to die for graham cracker crust; you’ll wonder why grapefruit pie wasn’t done before. Whereas House of Pies’ crust was dry and crumbly, Salt’s Cure’s was perfectly moist and delicate. We licked every morsel clean, which had us begging for more. The real knockout was the use of grapefruit. 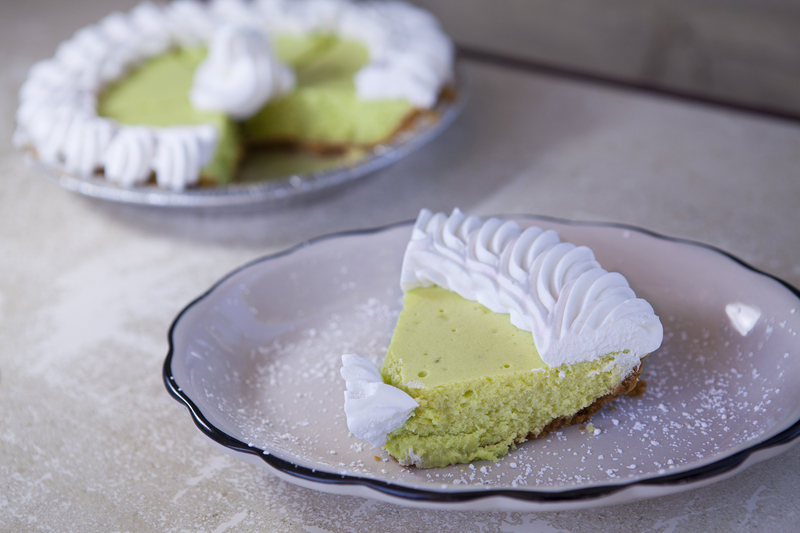 While the fruit may not be true to key lime pie, its use—local to California, too—was ingenious.